The design of a new bathroom is important. Unlike your linen cupboard, if you skimp on this part of your new home it’s something you, and guests, are going to notice. 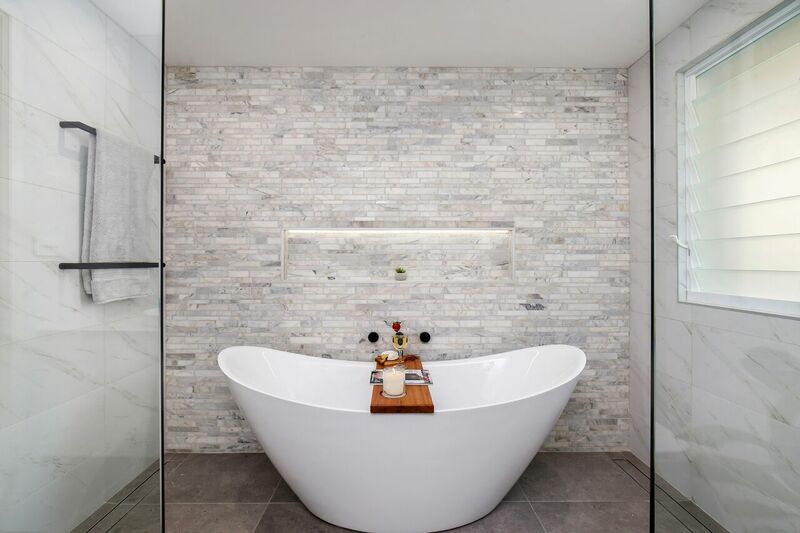 The right bathroom space with the right fixtures can add significant value to a new home. 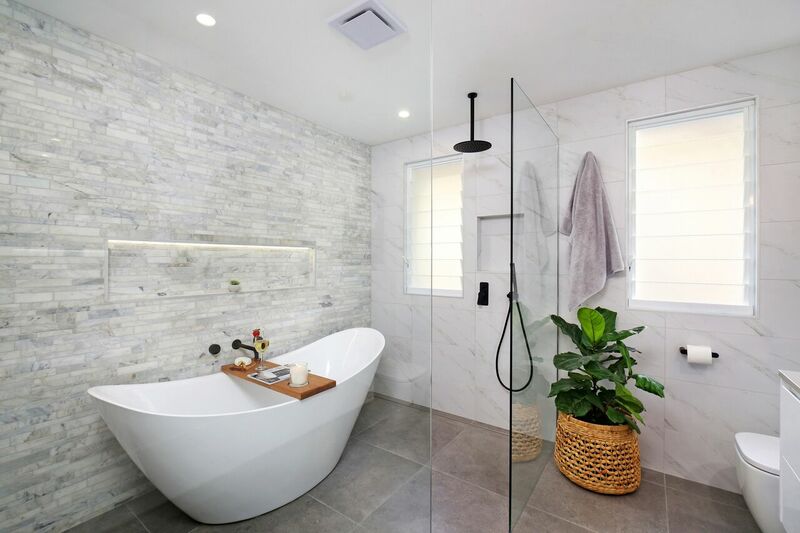 However, as a first home owner conducting your first renovation, it can be difficult to find the extra dollars to transform a bathroom into a haven. Highgrove Bathrooms, believe you can get the bathroom you want at a price that won’t burn a hole in your wallet. 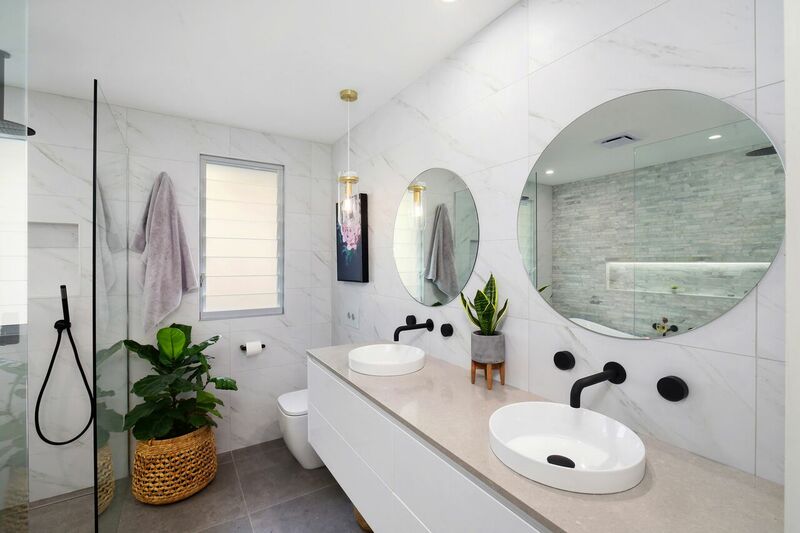 Bathroom trends throughout the years have morphed periodically, from the decadent French heavy brass and gold fixtures throughout the 80’s, to the New York loft stylings of subway tiles and polished concrete floors that made their way into many Australian homes a few years ago. 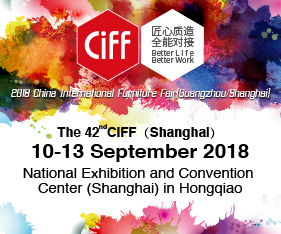 Now, it is spacious free-standing tubs, matte black fixtures, concrete basins and smart lighting that dominate the market. 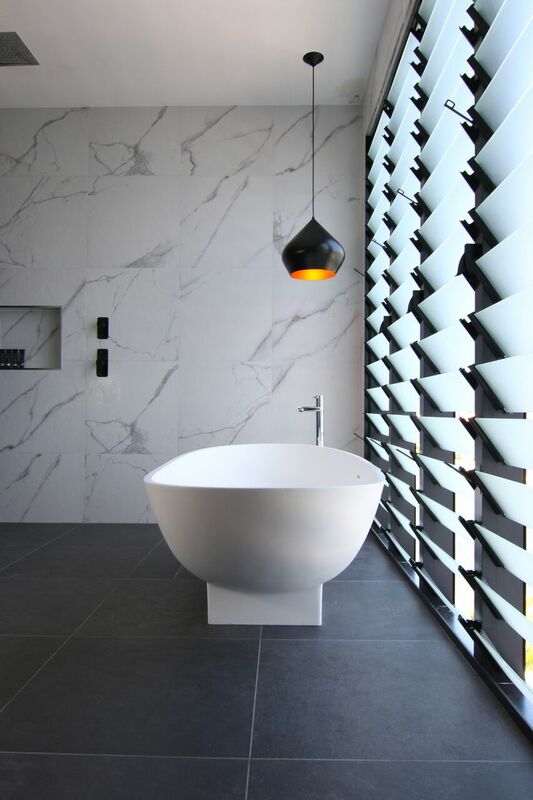 With LED comes luxury: Don’t settle for halogen downlights in your new bathroom. By installing lighting around the mirror and around the vanity, you’ll be creating a warm glow in the right places. LED strips or bead lights will do the trick here or consider a set of Edison bulb pendant lights will complete the luxe lighting look you’re striving for. As an added bonus, LED lights are highly energy efficient, saving you hundreds of dollars over time. Get around round mirrors: Don’t get us wrong, a stylish set of square mirrors aren’t a bad choice by any stretch of the imagination, however a round mirror conveys sophistication over modernity – this, and it will make your wall appear longer, adding space to the room. Themed fixtures: Installing fixtures with a consistent theme is an inexpensive ways to add a touch of luxe to your bathroom. Updating the tapware and drawer handles with something eye-catching like brass plating or matching matte black is an easy way to make your vanity pop and give it a fresh new look, especially if you can get your hands on a matching shower head or rail. Accessorise and declutter: This is the perfect way to add your personal touch and give your bathroom character. For that five-star feel, why not turn your bathroom into an indoor oasis with some greenery, and place extra towels in a basket. Decluttering your vanity top and re-organising any visible storage space can also do wonders.